Welcome aboard the Miffy plane. This is your captain speaking! What is more fun for your kid than being a real airplane pilot? 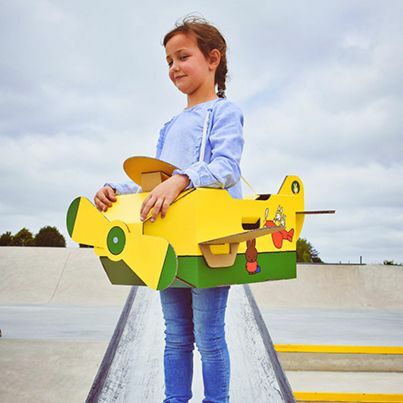 Let his or her imagination run free with the cardboard toy plane with original Miffy design! Easy to assemble, watch our video tutorial to see how.